09/12/2012 – Steph and Claire’s Christmas Day! We’ve had this day planned for what feels like months now… A marvellously Christmas Day going around Winter Wonderland, and oh did it not disappoint! Sadly the ice skating was all fully booked up, but we decided to go on the big rides instead which we’re great fun! 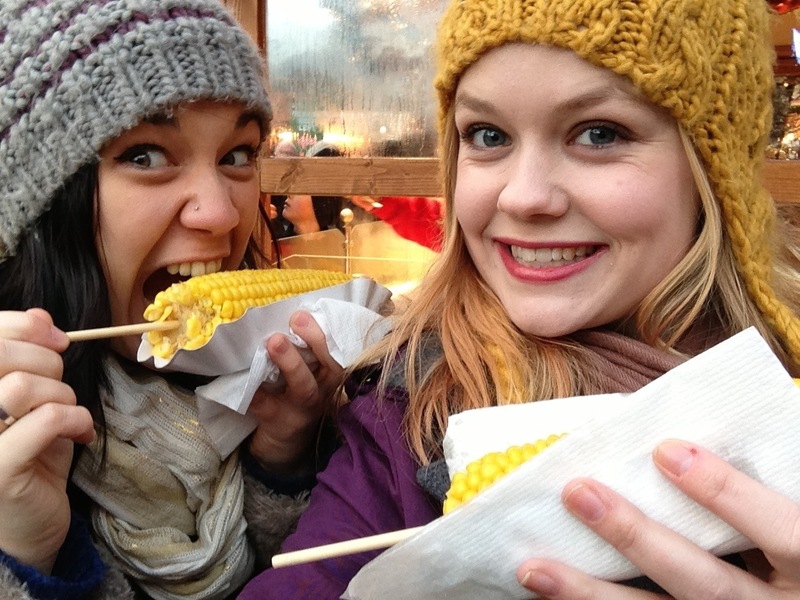 We drank mulled wine on the merry-go-round bar (awesome), ate corn on the cob (also, awesome) and I had churros (even more awesome!) love our flatmate adventure days! 10/12/2012 – I finally saw The Cat Empire!